Summary: According to JD Power, 75% of US retail bank customers polled say they are interested in receiving financial advice from their bank. However, just 28% are currently receiving any. Insights from this study to consider with your customers. 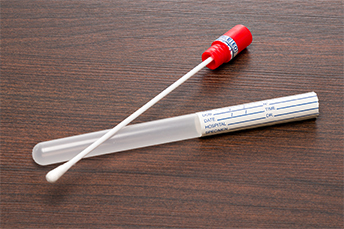 A study by diagnostics company Ambry Genetics finds up to 40% of at-home DNA test kits consumers are flocking to can be incorrect. It seems false positives with these tests are common. Nonetheless, we still find the tests fun, although it might not make sense to see them as deeply diagnostic, given such limitations. Multiple studies in banking also try to diagnose what customers may or may not do now and in the future. Here, a recent JD Power study on banks and financial advice finds that more than 75% of US retail bank customers polled say they are interested in receiving financial advice from their bank. However, just 28% are currently receiving any. The study looked at large US banks, but there are important takeaways for community banks as well. Although many community banks don't currently offer financial advice, a growing number are considering the option as a way to earn fee income and strengthen ties with customers. Consider a recent survey of Bank Insurance and Securities Association (BISA) members where 65% of banks polled said they were interested in acquiring an independent advisory practice as part of their growth strategy. The JD Power study also gives banks some perspective as to why partnering with an advisory firm could be important from a customer's viewpoint. It is very telling, for instance, that 78% of those polled expressed an interest in financial guidance. Among retail bank customers who have received advice or guidance from their bank, 89% say they have benefited from the information. Of course, there's no shortage of places to go for financial advice, but many customers like the convenience of one-stop-shopping. They patronize a community bank for the personalized service, and the survey shows some might like to broaden that relationship beyond traditional banking services. Consider what respondents to the JD Power study said they were looking for: quick tips for improving their financial situation (41%); investment-related advice (39%); retirement-related advice (35%); advice on budgeting and tracking household spending (33%); and saving for a large purchase (29%). These are all areas where savvy bankers can help. Yet another study by Market Strategies International (MSI) finds IRAs are also a promising area for banks. It found almost 20% of affluent investors said they'd be open to considering their primary bank for an IRA. MSI research finds the wealthier a client gets, the more likely they are to take their assets outside a bank. In fact, fewer than 20% of affluent investors would consider their primary bank for wealth management products and services, even though it seems to be a natural fit within a bank's menu of offerings. Not all community banks may feel wealth management is a fit for them. However, it does provide you with another opportunity to connect with customers. While there are strategic, regulatory and cultural issues to contemplate, it may be interesting to see whether buying or partnering with a wealth management or investment advisory firm might work for your bank. After all, it never hurts to take a closer look at the DNA of your bank to diagnose strengths and weaknesses to improve. Fifth Third Bank launched cardless ATMs, allowing its customers to withdraw money from its ATMs without a debit card by accessing the cardless ATM through their mobile banking app. Banks active in livestock lending should note technology now allows ranchers to put collars on cattle and other livestock that essentially sets up virtual fencing and allows for better tracking. If all goes as planned, it could render fences obsolete in the future. Regulators are prompting banks to make more short-term loans to help fulfill a large market and remove the need to hit check-cashers and pawnshops, reported the Wall Street Journal. The OCC will spell out its position on installment loans in the next 60 days. The CFPB is re-assessing a 2017 rule that would impose ability-to-repay standards on payday loans, including those made by banks. The most frequently indicated SAR sub-categories for 2016, as reported by FinCen, were: suspicious concerning source of funds (37%); suspicious EFT/wire transfer (22%); all others (12%); suspicious use of multiple accounts (12%); transaction out of pattern for customer (11%) and suspicious use of noncash monetary instruments (6%). On May 11 all banks must identify the beneficial (true) owners (individuals who own 25% or more of the company, but can go below that threshold if the customer is considered high risk) of corporate bank accounts under an updated customer due diligence (CDD) rule.